The Ballistic Collada Viewer is able to read 3d Xml Collada files, among others, the format used by Google Earth, which becomes every day more popular. Take advantage of the already huge amount of models available. Get rid of the file format problem, use only one ! Dowload the free version (1.0.4) now. 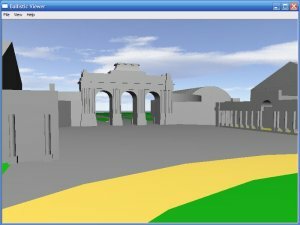 Review your models very easily. 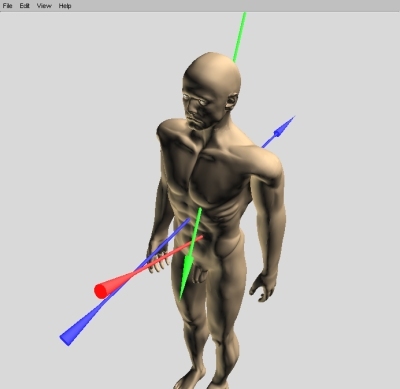 Ballistic Anatomic Trajectory is a software dedicated to ballistic experts and police labs. Very easy to use, it will give you different trajectory angles in direction and elevation. You will be able to see the body from every possible viewpoint, import another body model developed in a 3d modelling software. You will be able also to specify the exact body height and width. It will give you the opportunity to save you data files and retrieve them later. In one click you can capture the screen and save it as a .jpg file in the directory of your choice. At last, it will give you a perfect presentation, which even non specialist people can understand and save time by avoiding painful self drawings. © 2006 Ballistic3D. All rights reserved.